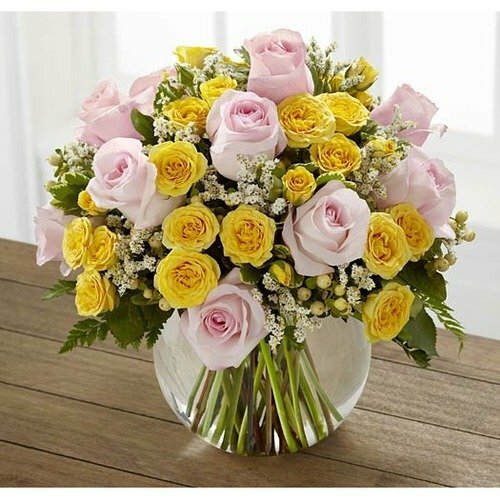 The Soft Serenade Rose Bouquet is a sunny and charming flower arrangement set to spread your warmest wishes. A wonderful way to say thank you, get well or to extend your congratulations. * Thank you for an easy transaction. * Great choice. Excellent arrangements. * I always use 1st in Flowers, when I am sending international they always try to meet my requirements and if they can't they send me an email with a list of options.